When evaluating a case I am always trying to visualize/integrate varieties of canal and chamber morphology; as you know we will see it almost every day in the clinical environment. 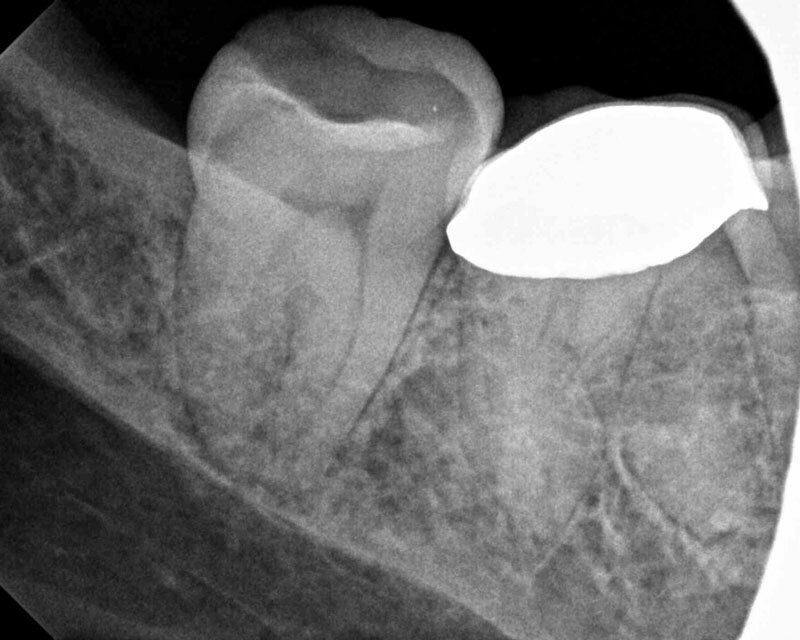 An unapparent canal anatomy displayed by possible calcification at the evaluation pre-op image indicates an unclear distal canal space as compared to the mesial root. This software engineer was very interested in my elucidating the different reasons for this distal root variation. We talked around possible rotation of the root, secondary calcification, and or unusual anastomosis anatomy. 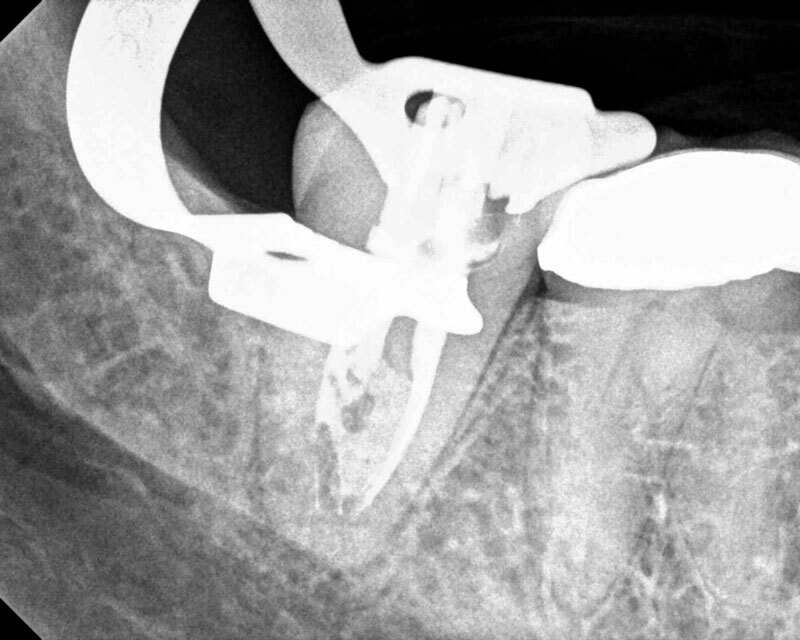 In what was “happily” a slightly rotated “patent” distal root system; the initial down pack check image displayed the result of two canals biomechanically prepared, subsequentially treated with a bioceramic obturation procedure. 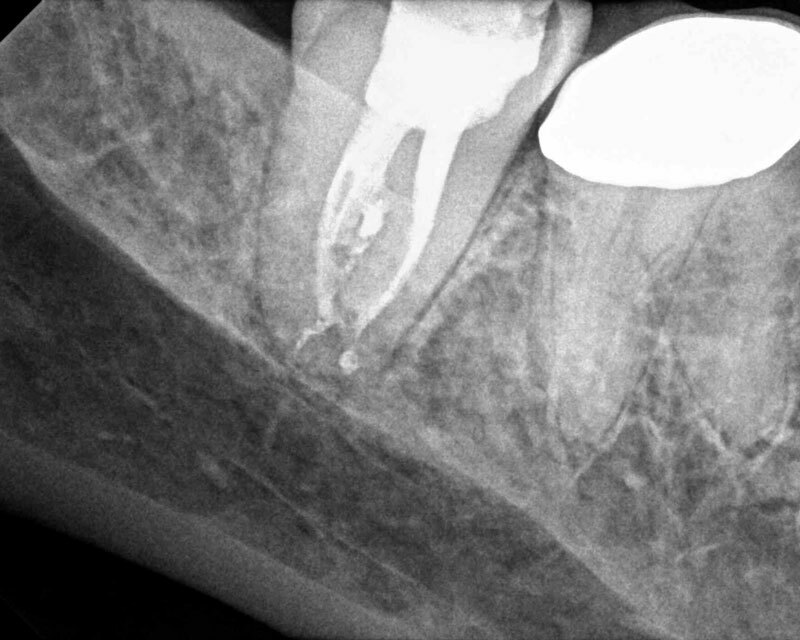 The final radiographic image displays the flow of bioceramic materials into what appears to be a “partial” C-shaped anatomy variation. The information that we can gather by thoroughly evaluating our well angulated, pre-op radiographic images, often discussing these ubiquitous variances with our patients (if they want to hear), allows us to have an insight of when anatomical variances may be encountered, going a long way towards establishing communication, and building patient trust. I practice in a sea of engineers who are obviously very interested in hearing all the details. 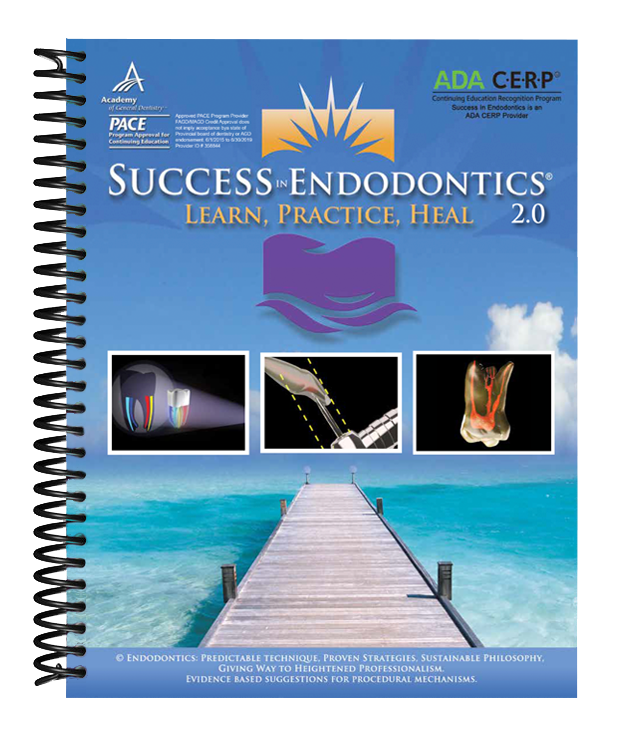 How often do you find your patients interested in the visual radiographic signs of evaluation images? What are your variables in deciding when to acquire a CBCT evaluation?